Les Kiss was due to clear out of town late last week to get a wee break from a place where, if you were centrally involved in rugby, you wouldn't much want to be right now. He will return for the suitcases later. By comparison what's going on in the law courts up there would dwarf the issues at Kingspan, but combined they have left the province at its lowest ebb since the game went professional in 1995, which is when we started measuring mood and circumstance. If the European Cup win on January 30 1999 was their Everest, then, give or take a couple of days, its anniversary in 2018 has been their sinkhole. That Kiss should walk the plank before the end of the 2017/18 voyage became increasingly likely with every other game this season. One week up - the home win over a powerful La Rochelle side last month in round five of the Champions Cup - then a week later they slipped under water in Coventry against Wasps. Kiss's position became more acute when he saw off Allen Clarke and Neil Doak, coaches he had inherited - and ultimately accepted - when he first went north temporarily in 2014 from the Ireland set-up to give them a dig out. Sometime after Kiss moved to Belfast on a full-time basis the relationship between all three soured to the point of being unworkable. The arrival of Jono Gibbes and Dwayne Peel - Kiss's choices - meant the boss man would be front and centre if things went wrong. Kiss is a good man who did a fine job with Ireland, and whom Ulster were extremely keen to get over the border. CEO Shane Logan was a prime mover in this, just as, given his position at the top of the tree, he oversaw Kiss moving on last week. Logan's profile has been somewhere beneath the surface since he made a rod for his own back by declaring, on taking office in 2010, that he wanted Ulster to be the best in Ireland, Europe and the world. That line has haunted him. Perhaps, having done a thorough reccie of the situation before opening his mouth, he knew exactly what the problems were beneath the surface, as well as what was clearly visible to the punters paying in to watch his team every week. And maybe as part of that process he had a plan for fixing them, and for cultivating the vast tracts of wasteland in that province - a big lump of territory with nine counties. In a way it's apposite that we are almost bang-on the anniversary of that European Cup win in '99, for in the celebrations that followed that achievement Ulster forgot to make hay while the sun was shining. So those vast tracts of undeveloped land remain just that. It is a source of some pain to Ulster fans that they have to shop south of the border for Irish players. Importing industrial loads of South African beef is a steady and popular trade for them, but there's something not right about looking to Leinster to fill gaps in their squad. You have to ask why it is that next season Ulster may well put out a pack of forwards that includes Marty Moore, Alan O'Connor, Greg Jones, Nick Timoney and Jordi Murphy. Jones and Timoney have already got more game time than they imagined - because of injury to others - but why isn't there a local equivalent ready and waiting to fill the gap? Two seasons ago, hoping to organise a fixture at under 20 level with an Ulster club - any Ulster club - we made a couple of calls. In the course of those conversations we discovered under 20 rugby just wasn't a runner up there. Lads left school and went down one of the following routes: university in the UK, or Dublin; the Ulster Academy; straight to the adult section of a club; or nowhere. Nobody we spoke to could explain why there was a great big gap where the bridge was supposed to be. In those circumstances it's not hard to understand why an organisation, whose chief executive is in pursuit of world-class status for his team, can't grow their own. It is a miracle that in the Ireland under 20 squad who lost to France on Friday night there were six Ulster players. More representative, perhaps, are the figures from the last five Ireland under 20 World Cup squads, where Ulster have averaged 3.6 out of 28. It is a big province, with circa 250 clubs and schools affiliated to the branch. How can an operation of this size be so poor at producing players? The link between what you produce and how you play is inescapable. Leinster are the obvious example here, and while they have a clear advantage over the other provinces in the numbers game they have worked very hard to develop and shape those numbers. By comparison Ulster have been pathetic. There is a lot wrong with their operation from top to bottom, but no one should be surprised that on the journey towards producing more, and better players, falling asleep at the wheel leads to a crash. Turfing Les Kiss isn't going to clean up that wreckage. Independent.ie Newsdesk Ireland and Ulster captain Rory Best has announced he will retire from professional rugby after the World Cup in Japan. 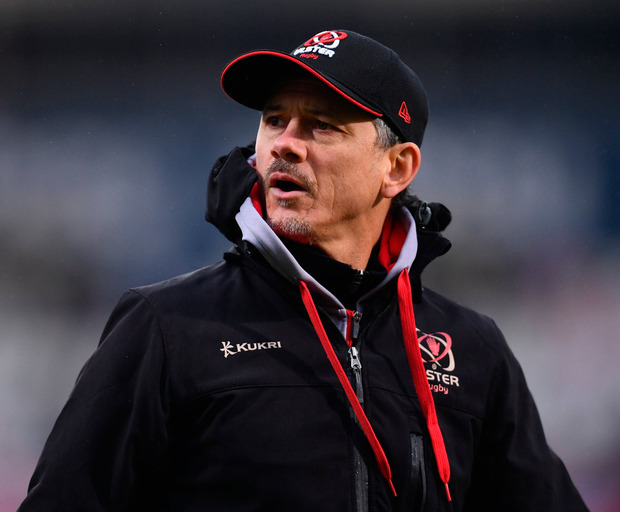 Independent.ie Sportsdesk Ulster produced an inspired performance to overwhelm Edinburgh at Murrayfield with a bonus-point win that guarantees them a place in the knock-out stages of the Guinness Pro14.